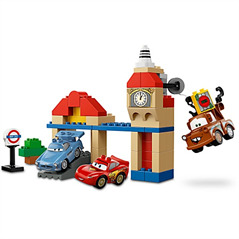 Lightning McQueen, Mater and Finn McMissile's international spy mission takes them to London, England with this Big Bentley Cars 2 Lego Duplo Play Set. The set includes the famous clock tower so they'll always have time for fun! 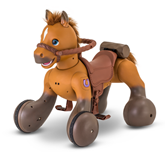 Your little nephew (or niece) wants to get in on the Cars 2 building fun too! LEGO Duplo is built just for them!